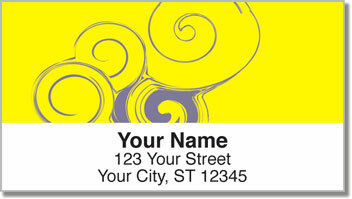 The inspiration for a richly imaginative set of return address labels like this could only come from one place...nature! But the spiraling shapes you see on this design are found on more than just the seashells for which it was named. You'll come across this graceful pattern in the rings of an old oak tree, the unfurling fronds of a fern and the curved horns of a mountain goat. 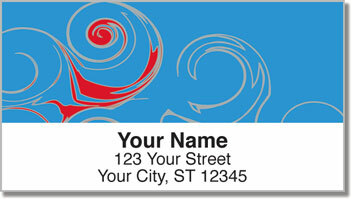 From a tiny human thumbprint to enormous galaxies in outer space, what you see on Seashell Swirl Address Labels may be the pattern of the universe itself! Choose this artistic selection and stick something profoundly unique on all your letters and packages. 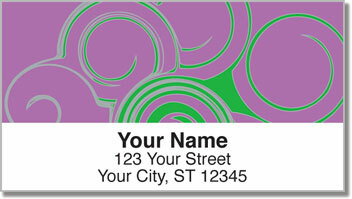 A convenient self-adhesive backing makes it easy to prepare all your outgoing mail! 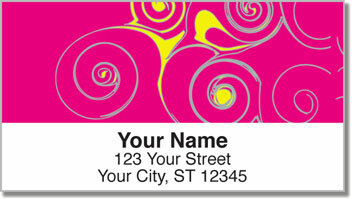 Get your own Seashell Swirl Address Labels today! Don't forget to add matching personal checks!